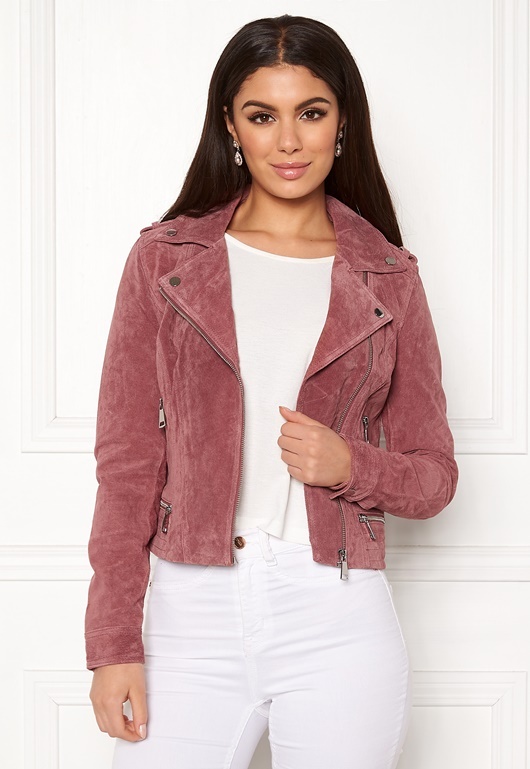 Trendy jacket made of genuine suede from VERO MODA. 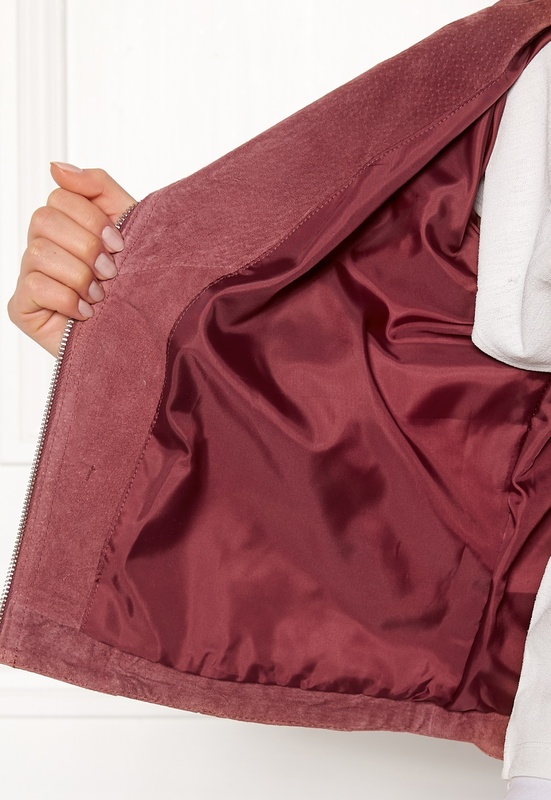 The elegant jacket is the perfect match for either pants or a dress. - Light stretch quality - Figure-hugging fit - Front zipper - Four zippered front pockets - Snap closure at wrists - Elegant details on shoulder - Snap closure on collar Back length from shoulder 48 cm in size S. The model is 173 cm tall and wears a size S. Must be washed by a professional leather specialist.